At Owens & Sweitzer our goal is to provide you with not only a great purchasing experience, but also with the best parts and service possible so you can feel confident to rely on us during down times! Owens & Sweitzer - 1972 Ltd.
After years of running other brands, these Ohio farmers found Challenger tractors to be easier on the operator, while delivering more power to the ground and fuel efficiency. This magazine featuring Owens & Sweitzer has just been published! There are some great stories, history and information regarding Owens & Sweitzer and our products. If you’d like a free copy we can mail you a print copy, email or text you a digital copy. Just comment below if you want print or digital and we will get one to you! Or stop by and ask anyone of us! The transmission in the Fendt 1000 Vario helps prevent damage to your soil by giving you smooth performance and traction. Stop in to take a look. One more reason to look at the New Green coming to West Central Saskatchewan! 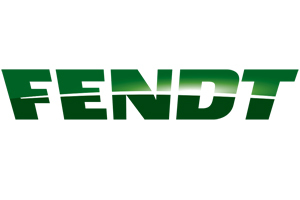 Fendt from Owens & Sweitzer! John Hartsook was the winner of our O&S/Fendt branded apparel. The dozens of people who came through the shop and toured the Fendt Ideal 8 where all entered into our draw. Thank you to all that stopped in. Congratulations John! Owens & Sweitzer (1972) Ltd.